MakeOffices is a company creating + managing coworking spaces, with the aim of bringing people together from a variety of business situations. From freelancers to entrepreneurs, these are people who get things done. Delivering real estate as a service, it’s a top priority for MakeOffices to create modern spaces that are lively and conducive to the productivity of its members. With top-quality presentation and performance in mind, MakeOffices looked looked to illuminate their premier Chicago location with DECO Digital LED solutions. 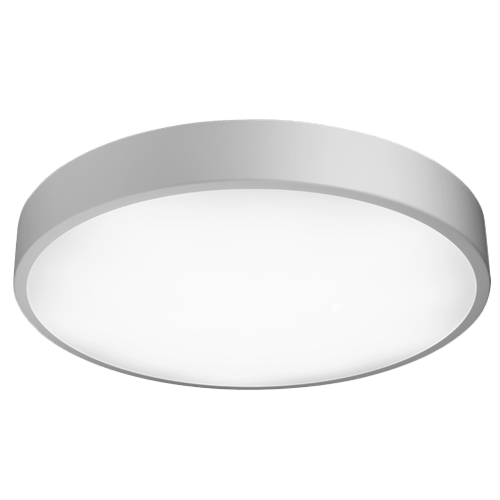 RONDE-LED ARCHITECTURAL DESIGN VERSATILE IN ANY INTERIOR SPACE A Available in diameters ranging from 14 inches up to 5 feet, the Ronde can suit a variety of different applications and meet your speciöc interior design goals. Matching this is an assortment of lumen packages, color temps, and öxture önishes that put you in control of of designing the ideal office space for your business. This is accompanied by DECO’s industry-leading 10-year warranty that covers labor as well. COMBINING ENERGY SAVING PERFORMANCE WITH GREAT DESIGN At DECO, our mission is to be the leading manufacturer of innovative LED lighting solutions that improve lighting quality, improve efficiency, and enhance the environment through reduced energy consumption. That being said, we aim to develop öxtures with modern design aesthetics aesthetics in mind in addition to delivering energy-saving performance for businesses.